Eric Bucchere is a creating a new pathway for players that are seeking professional opportunities in American soccer. He’s navigated our broken system himself as a college player at UC Santa Cruz and later on as a coach at Menlo College, Burlingame Dragons, and eventually as an assistant coach with USL’s Reno 1868 FC. Eric’s journey has provided him with plenty of experience and knowledge that he is now sharing with players that are starting their own journeys. His company, Path2Pro, provides opportunities for players that have been flying under the radar and puts them right in front of coaches and scouts that otherwise wouldn’t even know they existed. During this conversation, Eric opened up about what it’s like to go through the day to day grind as a professional coach in the lower divisions of American soccer. He sheds some light on lower division player contracts, the absence of a lower division players union and CBA, and much more information that every American soccer player, parent, coach, and fan should know. The funny part is that we didn’t plan on talking about those topics. We actually planned to talk about session planning, but this is what we ended up with. This is a rare opportunity to hear from someone who’s been on the inside and I couldn’t be more thankful for Eric coming on and sharing his honest opinions. And that’s why I love hosting this show. There are no restrictions. No rules. No one that tells us what we can or can’t talk about. I love it. 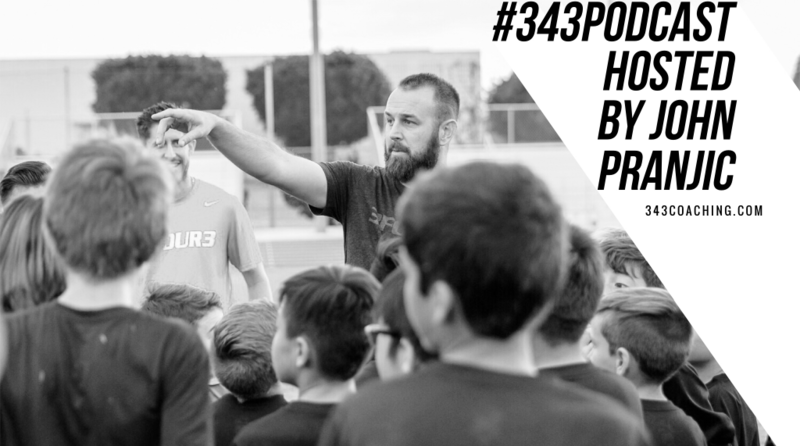 And we’re able to keep doing this because of your support as listeners, but more specifically, your support as a member of the 3four3 coaching education program. The membership program is actually what funds this podcast. So, if you are a member in the coaching education program, not only are you getting an education that transforms you into a far better coach, from the guys who have gone through that transformation themselves and are now considered among the top in the country … but you are helping sustain and develop this podcast. If you’re not a member and you’re wondering what a 3four3 membership can offer you… It is the complete online resource that will help you reduce your trial and error time and help you get right to the work that matters. You learn the cutting edge training techniques that have been proven to develop better and smarter players, better and smarter teams, and better and smarter coaches.